Canada's capital is the fourth cleanest city in the world. But that's not the main reason many expatriates have for making a beeline to Ottawa. This city has a population of 1.25 million individuals whereas expats represent around 23% of the total population. Foreign nationals in this city enjoy not only the best of Canada's clean and green environment, but also the fruits of a productive, multi-cultural labour market. Despite the global economic crisis, Ottawa still manages to consistently outperform other big Canadian cities. 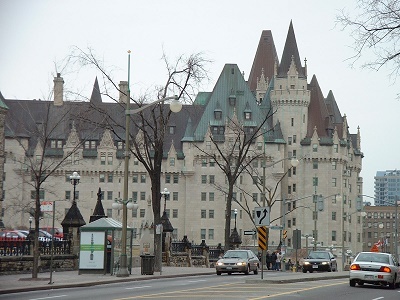 Furthermore, Ottawa happens to have a labour market that provides an interesting array of prolific employment opportunities to its Canadian residents and to qualified foreign residents. Annually, about 150,000 foreign workers get to benefit from Ottawa's thriving labour market, and also help fill the country's skill shortages. The Canadian Federal government has always been the biggest contributor as far as earnings and employment opportunities are concerned, covering about 18.2% of the city's GDP. However, with the recent changes in the global market for high-technology manufacturing, this industry has surpassed the government on the list as a GDP contributor, accounting for about 18.9%. Working for the government allows an expatriate the opportunity to access employment in various sectors such as public administration, communications, finance, law, management, and even scientific research. However, for foreign workers, getting employment with the Federal government is a bit more difficult as preference is given to Canadian citizens in filling a government-related job post. Working hours are normally from 9:00am to 5:00pm from Mondays to Fridays. According to the Canadian Labour Law, the maximum number of hours an employee can be required to work everyday is eight hours or 48 hours per week. Those standard hours can only be exceeded if there is an approval from the Director of Employment Standards or a written agreement signed by both the employer and the employee. One of the biggest adjustments that an expat makes when moving to another country, or even just another city, is the workplace. In Ottawa, punctuality is appreciated and expected by your Canadian colleagues. Make sure to immediately inform your superiors of any delays, especially during meetings or appointments. Also, be aware that both English and French are widely used in the city. You may want to inquire from your colleagues if they would be comfortable communicating with you in English. Canadians are individualistic people and although they are mostly open to business discussions, they keep their private lives mostly to themselves. Thus, make sure to maintain a certain sense of formality in the workplace. Always maintain a reserved demeanour whenever possible. Success is within your arm's reach with a myriad of employment opportunities in Ottawa. An added bonus is the city's overall expatriate-friendly work environment.